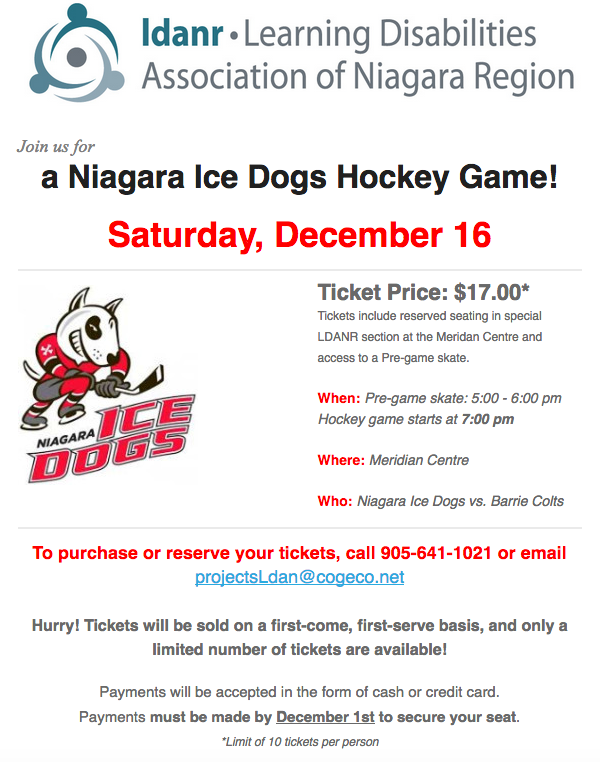 Dec. 16th: Join LDANR for Niagara Ice Dogs Game! Join LDANR for a night of hockey and the Niagara Ice Dogs! Tickets are $17 each and can be purchased by calling the LDANR office at 905-641-1021 or by emailing projectsLdan@cogeco.net. Tickets include special seating in LDANR section, as well as a Pre-game skate from 5:00 – 6:00 pm! See below for details.